Rabbi Silver serves as the assistant rabbi at one of the largest shuls in the Greater Washington area. Known for his engaging speaking style and natural leadership he has successfully cultivated and grown a community of young professionals and singles. Rabbi Silver received Semicha from Rabbi Moshe Shternbuch, Executive Director of the Rabbinical Court of Jerusalem and Rabbi Nathan Greenblatt, Av Beis Din of Memphis, Tennessee. 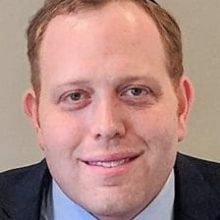 In addition to his rabbinical duties, Rabbi Silver is a practicing attorney and also holds a Masters in Education, both valuable resources that he has applied to his own rabbinate and teachings. Concurrent with his other responsibilities, Rabbi Silver is pursuing an LLM in Taxation from Georgetown University. Rabbi Silver lives in the greater Washington area together with his wife, Estee, and adorable son, Gavi.